Author : Lachaud, C. M.
La Bible du Safranier is among the most serious, documented and comprehensive books on saffron cultivation and saffron production. A must for Professional Saffron Farmers, Future Saffron Growers, Saffron enthusiasts, and Everyone willing to learn more about Crocus sativus and the cultivation and production of Saffron spice. La Bible du Safranier reveals 257 pages of secrets, of the Spice, of Crocus sativus, and of Saffron Growers. This comprehensive technical and theoretical book summarizes all existing knowledge on the topic. Richly documented by nearly 300 references, its highly structured text is easy to navigate thanks to the table of contents and detailed index. Embellished with 103 color illustrations (photographs, tables, and drawings), the text is enjoyable to read. This wealth of information will teach you everything you need to know about Saffron, will satisfy your curiosity by taking you to the heart of a fascinating and mysterious subject, and will help you starting your Saffron Farm. 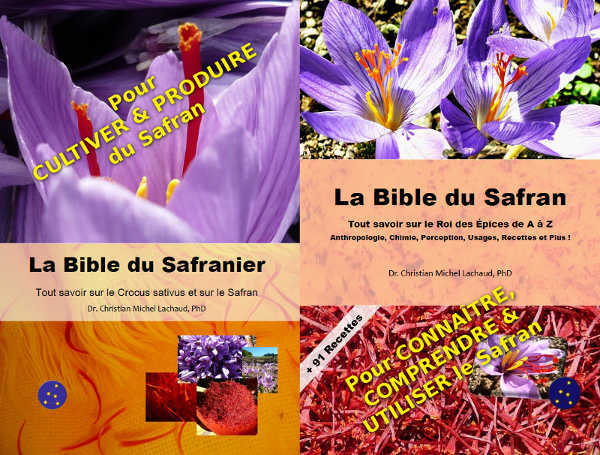 La Bible du Safranier will teach you everything you need to know about the Saffron spice : What is quality for Saffron ? How to buy and avoid fraud ? How to keep ? How to cook ? Additionnally, 19 easy and delicious recipes + 11 medieval recipes and 23 medicinal recipes will show you how saffron can be used to feast family and friends. La Bible du Safranier contains vast scientific knowledge from the latest research on the biology of Crocus sativus, its botany, phenology, diseases and pests, and various requirements and care. La Bible du Safranier will take you on a journey through history and continents. It will make you dream about the mysterious origins of the plant and its gold thread. La Bible du Safranier will help you step by step, in a practical and didactic manner, build your saffron plantation, harvest the flower and stigmas, turn them into spice, and package your production. You will know all about the needs of the plant, how to fight its pests and diseases, and how to grow it for the best yields. Do not hesitate to order Your Crocus sativus Bulbs HERE with this book to produce your own saffron ! La Paradisière offers Saffron Bulbs of selected strains for the production of Saffron spice, in small or in large quantities. Attention: Saffron Bulbs, a seasonal product, are only shipped in July and August. 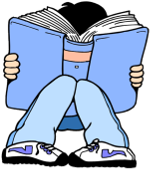 Choose the delayed shipping of your items next summer to get them in one package, or choose the separate shipping of book (immediate) and bulbs (delayed) with additional shipping costs. Please note that a book on Saffron can not replace our Practical & Theoretical Saffron Farming Training, Complete & Thorough. The author will be pleased to dedicate your book on demand. Simply add a message in the message field when ordering ! Le livre est tellement bien fait que je l'ai lu de bout en bout en seulement quelques jours. J'ai adoré la présentation universitaire avec les références aux études consultées par l'auteur. Je ne peux que recommander cet ouvrage, de loin le plus complet que j'ai eu l'occasion de lire sur le safran.